Did you know? eNotes offers quizzes designed to test your knowledge on thousands of literature, history, science, and math topics. 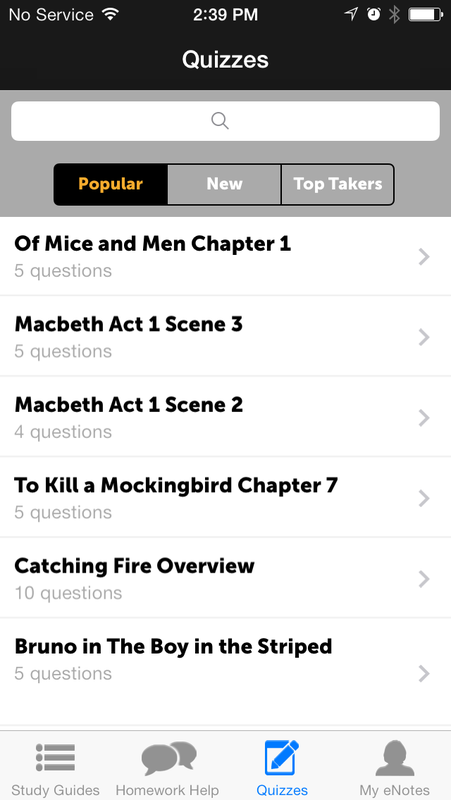 Check it out today to test your knowledge on everything from Animal Farm to Wuthering Heights! Read on for a walk-through on how to find the quizzes you’re looking for, plus how you can earn a complimentary premium pass just by taking these quizzes. 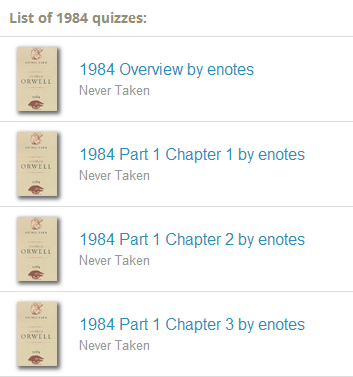 Head to enotes.com/quizzes for the day’s featured quiz, to create a quiz, or access Your Quizzes. You can find the lists of most popular and newest quizzes at the bottom of this page. This will show you the list of all of that work’s quizzes. Of the eNotes titles that have quizzes, all have an overview quiz that covers the work as a whole, and most have chapter and character quizzes to question you on more specific portions of the work. With this many ways to test your knowledge, there’s nothing stopping you from being prepared for your next test or essay! Check back often as new quizzes are added all the time, many from our valued eNotes educators. This means the same teachers and professors who test you in the classroom are on hand to prep you for your tests, from the comfort of your very own computer. So how much does all this above and beyond homework help cost? Absolutely nothing. eNotes quizzes are 100% free to access for all users. 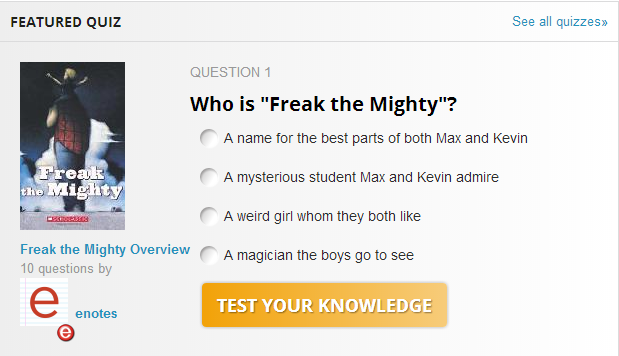 Even better, you can now earn a premium pass by taking quizzes. Reach the Quiz Master badge by taking at least 100 quizzes and achieving 60% accuracy or better, and we’ll give you a complimentary premium pass. Premium pass holders have access to thousands of study guides and ask questions of our experts in eNotes’ Homework Help area. Further proof that eNotes’ quizzes are your gateway to study smarter. Want quizzes on the go? The eNotes iOS app has quizzes to fit in the palm of your hand! Check it out on the App Store today.